As we all know, Minneapolis winters can be brutal, so few people can afford to be left without a properly running heating system when winter sets in. 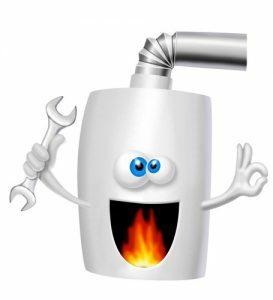 That’s why it’s important to have your furnace checked by heating professionals before your heating system is a necessity in case you do need furnace repair in Minneapolis. In addition to the peace of mind that comes from being more prepared for winter, there are 4 reasons why you should call heating professionals to check your furnace today. The most obvious reason to have your furnace checked before winter comes is to make sure the furnace is running properly and isn’t already in need of repairs. Even if you do a test run with your furnace and all seems to be running well, it’s a good idea to have a professional inspect it for potential problems that could result in emergency repairs when you really need your furnace. Having your furnace inspected before winter also reduces the chances of safety hazards from carbon monoxide or gas leaks. This inspection will confirm that there are no leaks so that you and your family are safe from carbon monoxide poisoning. Not only can being without heat in the bitter cold be dangerous, but it’s incredibly inconvenient as well. Although not all emergency repairs can be avoided, having an inspection early on increases the chances that small problems are detected so that larger problems can be avoided when you need your furnace most. Winter is a busy time for heating companies, and it may be difficult to have a technician come to your home right away during the busy winter months. You can save money not only by getting small furnace repairs before they become serious, but on your overall heating bill throughout the winter as well. Regular furnace inspections ensure that the furnace runs as efficiently as possible so that you don’t waste money on fuel consumption.